Gala Concert = a great celebration of music! 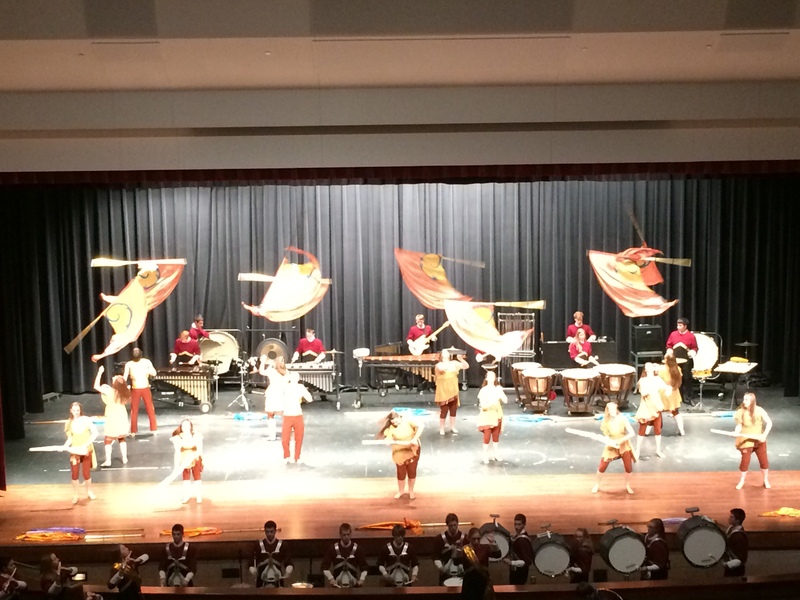 On Tuesday, November 4, the Gala Band concert was held in the AHS auditorium. The concert featured the Southview 8th Grade Band, Southview 9th Grade Band, Ankeny 10-12 Concert Band, and the Ankeny Marching Hawks. Christa Mooi for being a great parent coordinator this year! All the parents that helped with uniforms, color guard, moving equipment, watering the kids, driving the trailer, loading/unloading the trailer, taking pictures, and so much more. We couldn’t do it without you! Alice Pereti and Donna Moeller for speaking to the audience about the great experiences their child and family have had with marching band as freshman. Lynne Bleeker and Mrs. Williams for choosing the pictures for and making the video. Lynne Bleeker for making up the scrapbooks. Pam Miller, for sewing all the guard flags when they tore. Lauren Logan and Haley Warth for volunteering this summer to work with the guard.